1).____is a set of computer programs used on help perform tasks. Answer: b)software is a set of computer programs used on a computer to help perform task. 2).The two broad categories of software are____. d) Word Processing and spread sheet. 3).which key can be used to view slide show. Answer: c)F5 use for slide show. 4).Length of the string "correct" is. Answer: 7)length of string "correct" is 7. 5).Usually.in MS DOS.the primary hard disk drives has the drive letter. Answer: c)C is a primary Hard Disk drive. 6).what is the difference between 'cool booting'and'warm booting? (I)cool booting use a floppy for booting while warm booting uses a hard disk for booting. (II)cool booting is starting the computer from the power off position and warm booting is the restarting the computer. Answer: b)cool booting is starting the computer from the power off position warm booting is the restarting the computer. 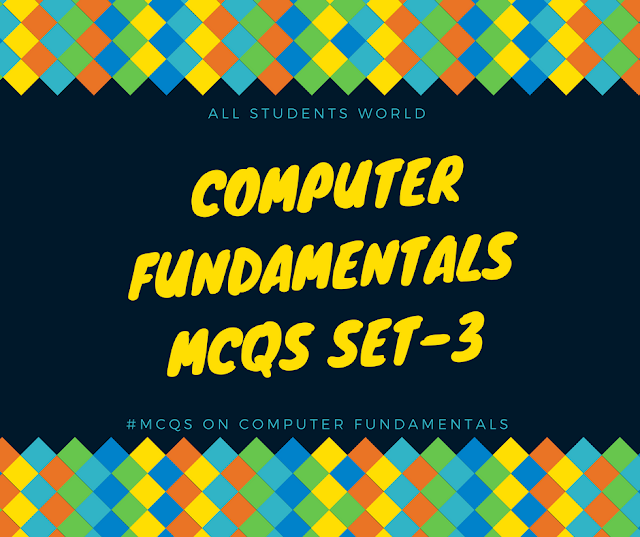 7).compiler in computer system is a. Answer: b)compiler in computer system is a system software. a) write once Read many. b) wanted once read memory. c) wanted original real memory. d) write original read memory. Answer: b)write once Read many. 9).word in Ms-office-7 allows creation of____type of documents by default. 10).To standout a word. what option can be used. Answer: d)To standout a word, Bold option can be used.